Definition at line 38 of file buffer-stream.hpp. Definition at line 41 of file buffer-stream.hpp. Definition at line 42 of file buffer-stream.hpp. 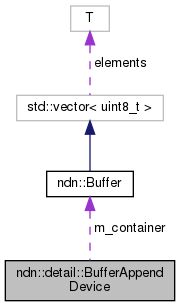 Definition at line 27 of file buffer-stream.cpp. Definition at line 33 of file buffer-stream.cpp. Definition at line 51 of file buffer-stream.hpp.